Catch the Breeze, Plant a Tree! ForestPlanet is very excited to be partnering with the DC Breeze during their 2018 season. 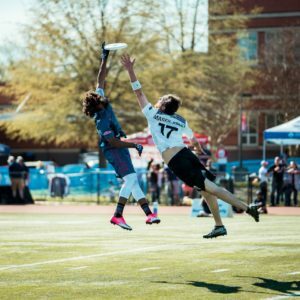 Established in 2013, the DC Breeze proudly represents the District of Columbia and National Capital region in the professional American Ultimate Disc League (AUDL). The Breeze will be planting one tree for each home game ticket sold in 2018, and they’ll be playing at least seven games this year at their new home at Catholic University field. Admission is free for children accompanied by an adult, tickets and additional information can be found here. We look forward to seeing you at the next Breeze home game!